I absolutely love the idea of smooth, radiant, hydrated skin. I love the idea, but I can never muster the effort it takes to slather on body lotion or hand cream before I go to bed, let alone do any extra scrubbing or polishing. So I get these horrid cracks on the skin on my legs (I have air-conditioning, 24/7, to thank for that) and even then I can't be bothered to slather on body lotion before I go to bed. The one thing I most definitely can be bothered to do, though, is to incorporate a rich, hydrating body cleanser into my in-shower products, so that my skin is at least getting some moisture from somewhere. 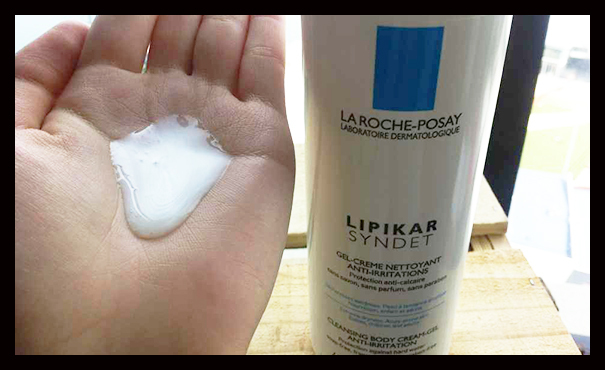 One such product that I've tried is the Lipikar Syndet from La Roche-Posay - a fragrance, paraben, and soap-free formulation with 10% Glycerin, to treat dry to extremely dry skin. A little bit of background on La Roche-Posay before I begin. 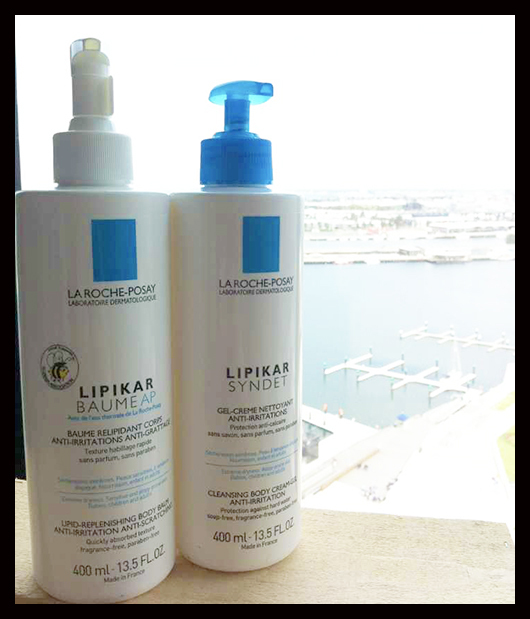 La Roche-Posay products are formulated with French thermal water that takes over 1,700 years to come to the Earth's surface, and is endorsed by over 25,000 dermatologists worldwide. The waters of La Roche-Posay are the only thermal waters in the world that contain a high concentration of Selenium, which has demonstrated anti-free radical, anti-irritation, soothing, and healing properties. The Lipikar Syndet has a very slight medicinal type of fragrance. I find it rather pleasant and wish it was a little stronger, but I can gladly report to anyone with sensitive sniffers that this is not at all uncomfortable and not too noticeable. The entire La Roche-Posay skincare line is formulated for sensitive skins, so it is safe for use on almost everyone, including infants. I replaced my regular 'Shokubutsu' with this, and walk out of the shower now to that plumped, slightly slick feeling that you get when you moisturise your skin well. It doesn't lather much and is more of a creamy cleanser than a sudsy one. I've only had the chance to use it for a little under a week, so the cracks in my skin aren't gone, but the lines have softened, thank goodness! 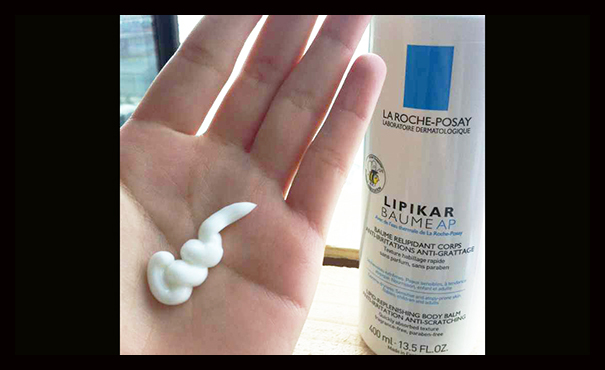 The Lipikar Baume AP is another one of those products I always end up forgetting to use, but when I do use it, I am surprised at how much moisture this lotion delivers to your skin! It does leave my skin feeling a little bit greasy, but if you're looking for a moisturiser that packs a punch, look no further. It is extremely rich and feels like shea butter going onto the skin (I took a quick look at the ingredient list, and it does in fact contain shea butter). It was designed to treat extremely dry skin, and helps to calm red, irritated skin and reduce the itchiness. As with almost all La Roche-Posay products, this was formulated for all skin types (and of course is paraben, soap and fragrance free), and is safe to use on babies, children and adults. 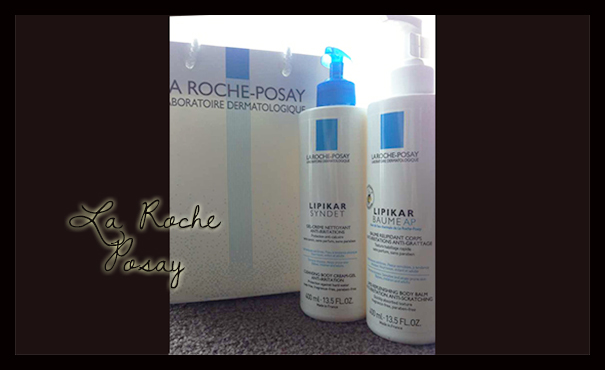 Dry, sensitive skin isn't the only skin type that La Roche-Posay caters to. They have 4 product ranges - ANTHELIOS for high sun protection, EFFACLAR for acne-prone skin, LIPIKAR for dry to very dry skin, and TOLERAINE for allergies and hypersensitivity. If you battle with any of these skin conditions, La Roche-Posay wants to hear your experiences and are ready to provide product for you to do so! Simply head over to this website and fill in the questionnaire, and if you are selected, LRP reps will be in touch to get your product sent out to you as soon as possible. All you will need to do is respond to their follow-up email sharing your views and experiences with the product. This trial opportunity giveaway is open to Australian residents only. So if you're someone who has a skin condition that you want to treat, head on over to the website linked above, and see if La Roche-Posay might be able to help you with it!